Timber Wolf Conifer Knife - Stainless Steel Blade, Full-Tang, Green Resin Handle Scales, Stainless Steel Pins - Length 9” | BUDK.com - Knives & Swords At The Lowest Prices! 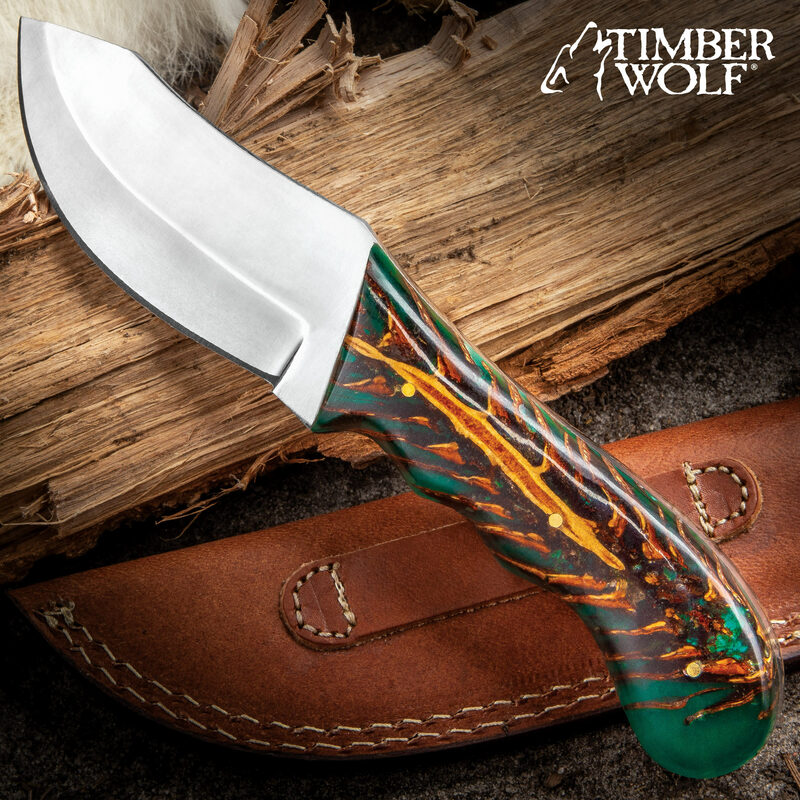 Using the stately pines that are found across this nation as their inspiration, the knife artists at Timber Wolf give us the unique and beautiful Conifer Knife. 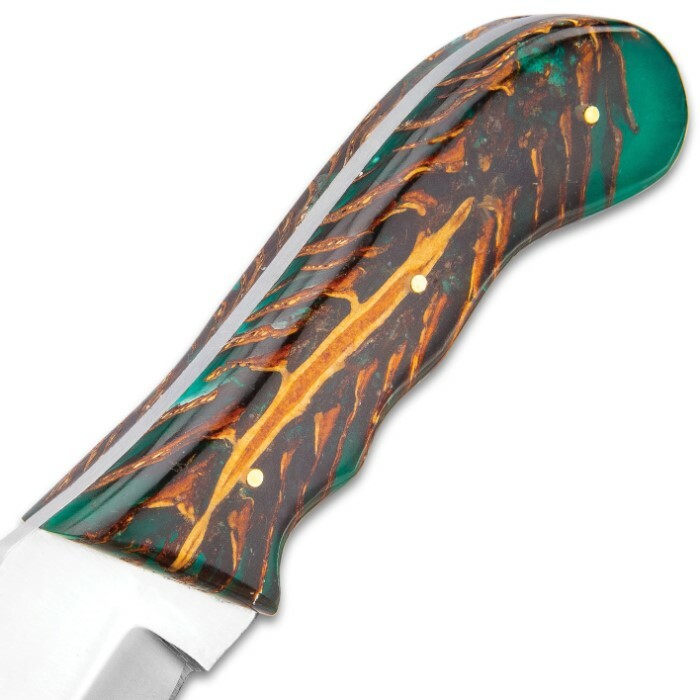 Each of the handle scales features a genuine cross-section of a pine cone embedded in smooth, emerald green resin, giving it the look and feel of a custom knife that was made just for you. The fixed blade has a keenly sharp, 4” full-tang, stainless steel blade that is a hefty 1/8” thick and has a full-bellied profile. There is serious cutting and chopping power in this blade. The fixed blade knife is 9” in overall length and stainless steel pins hold the unique handle scales securely in place on the tang.